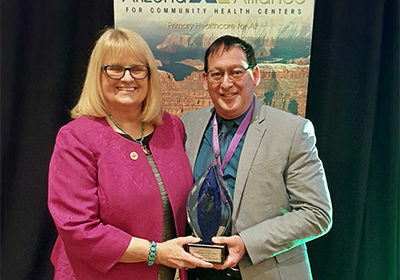 Senator Andrea Dalessandro has been named 2018 Legislator of the Year by the Arizona Alliance of Community Health Centers. 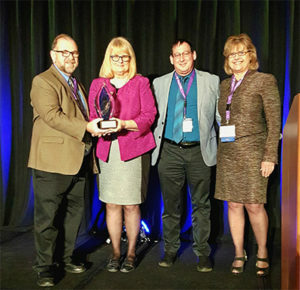 The award was presented to Senator Dalessandro on February 7th at the Arizona Alliance’s Annual Meeting in Phoenix. Senator Dalessandro was nominated by Mariposa Community Health Center in recognition of her support of the health centers represented in her district. In addition to Mariposa, her district includes United Community Health Center, El Rio Health Center and MHC Healthcare. “Senator Dalessandro clearly recognizes the importance of quality, affordable health care to residents of her district and the importance of community health centers to the economic health and development in their communities. Whenever there is an event in support of Mariposa, or any other community organization, she is always present to lend her support.” said Ed Sicurello, CEO of Mariposa Community Health Center.